Home Analysis Match Analysis How did Chelsea finally deliver Sarriball? In the 33rd round of the Premier League, Chelsea welcomed West Ham United in the match that could bring them back to the Champions League places. 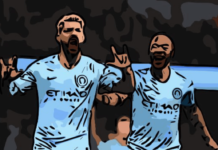 The Blues succeeded in claiming all three points at Stamford Bridge, dominating against their rivals and playing Sarriball in the way their coach has wanted from day one. Mauricio Pellegrini didn’t manage to adapt his team to prevent fluid attacks from the home team’s creative players and lost the match to by far the stronger team. 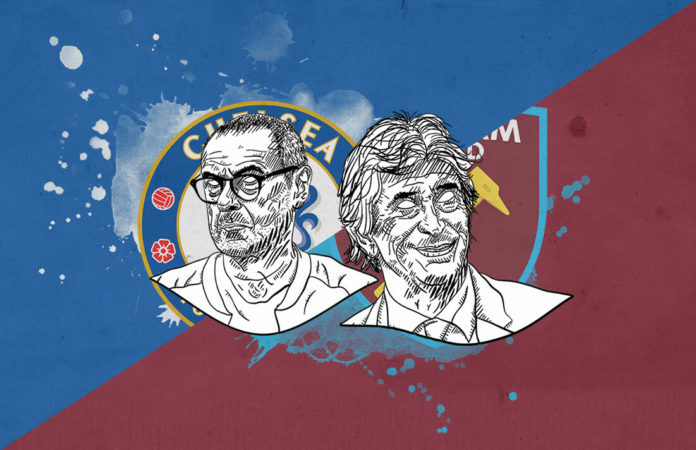 This analysis will show you how Maurizio Sarri made his ideas work for his team and how the Irons struggled to defend against their in-form opponents. Chelsea went into the game in their usual 4-3-3 formation they’ve used throughout the whole season. Their main attacking force was their best player Eden Hazard, who had the support of Gonzalo Higuaín and youngster Callum Hudson-Odoi, who finally got his chance in the first-team. Also, Ruben Loftus-Cheek found his place in midfield thanks to his recent performances.